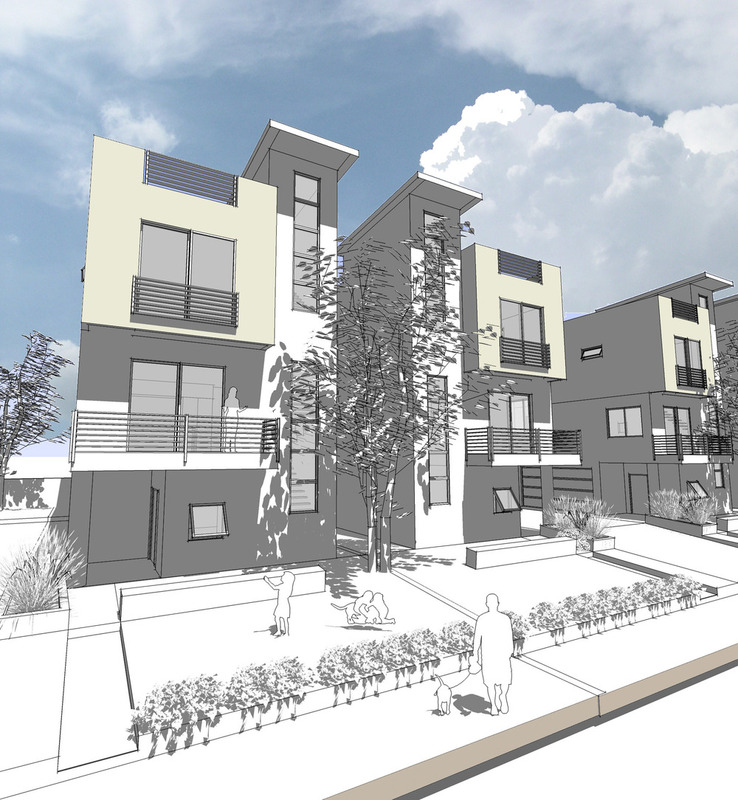 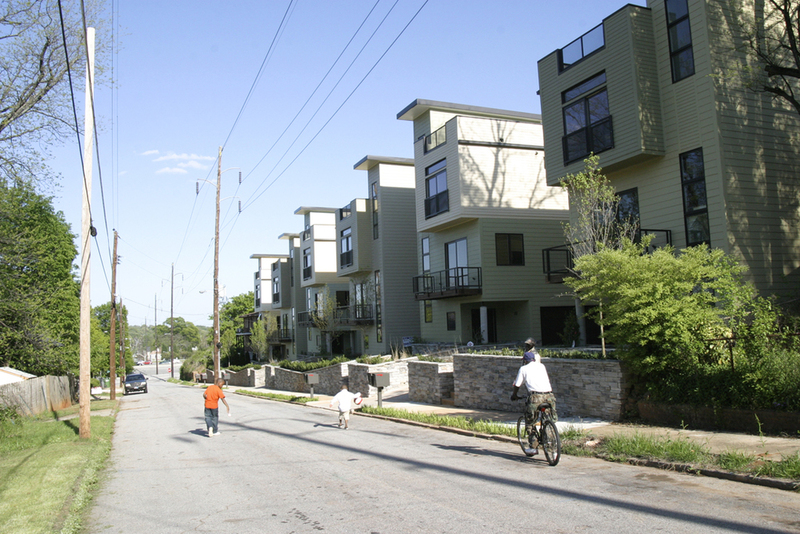 The goal for this project was to replace six decaying duplexes with homes that would provide contemporary amenities and secure parking, while maintaining a relationship to the neighborhood and to the street. 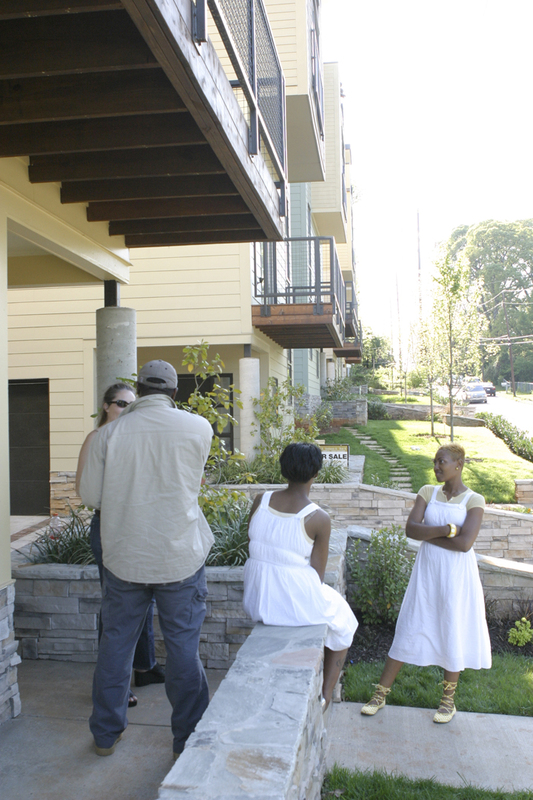 Each two duplexes share a courtyard, entry to each unit is from this courtyard, through a private front porch and garden. 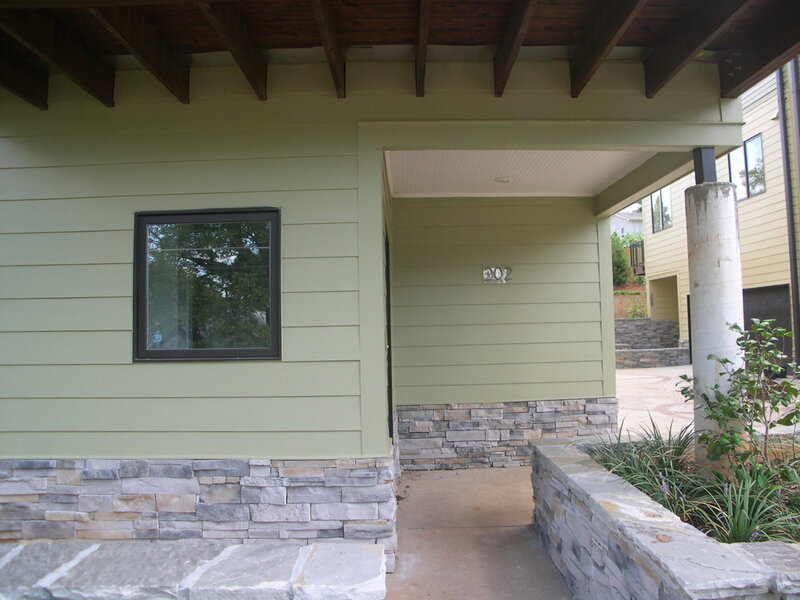 The entry porch is flanked by garden walls that serve as sitting areas inviting neighbors to gather. 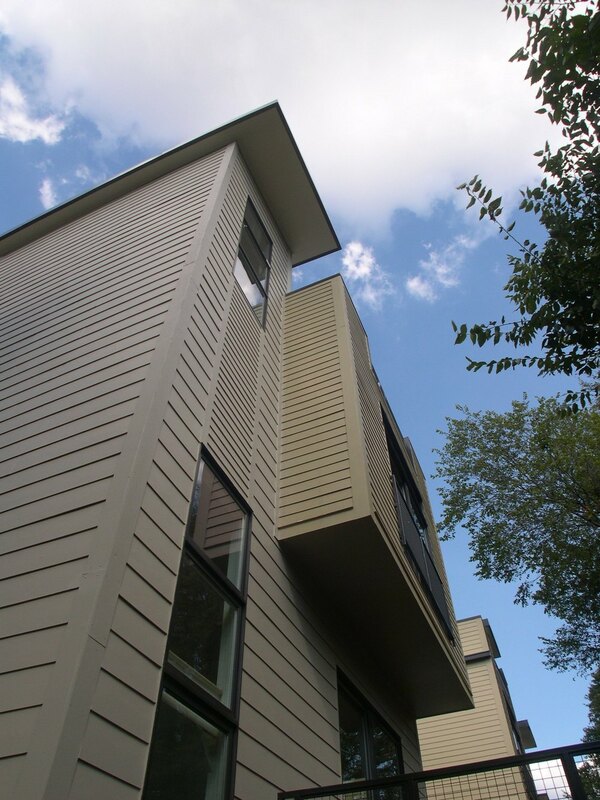 Large windows open to the courtyard allowing natural ventilation throughout the house. 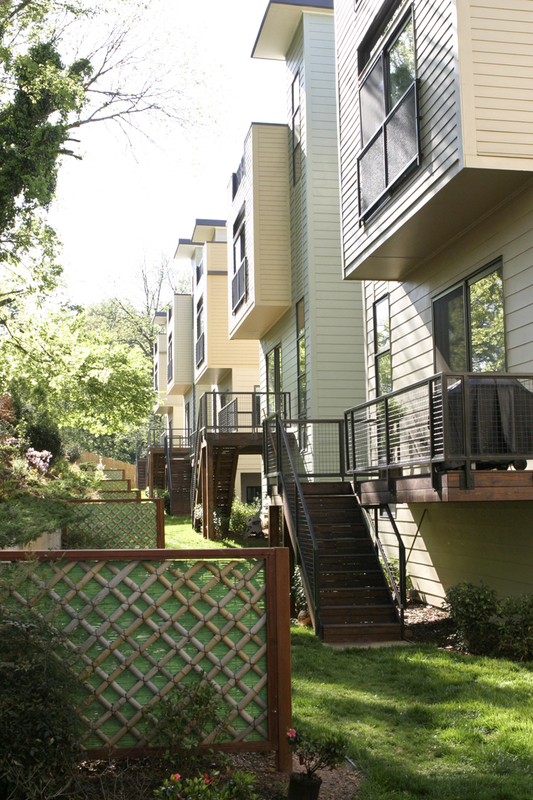 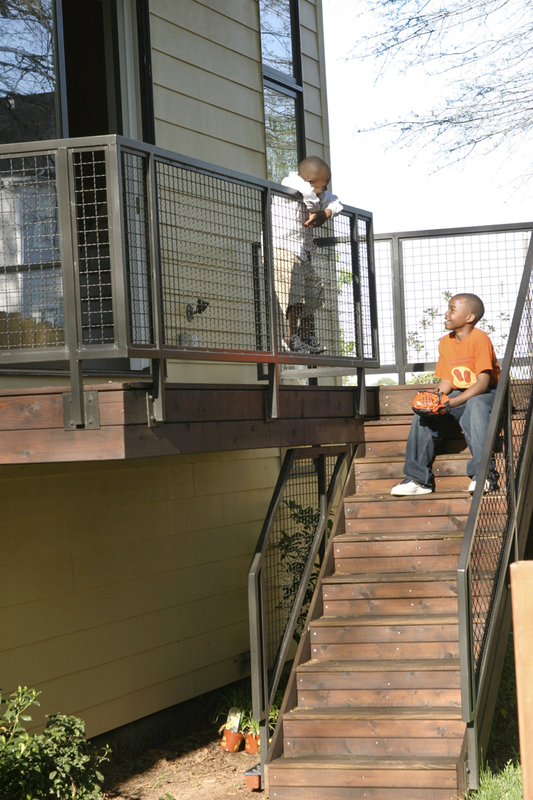 These homes provide spacious living and carry the interior to the exterior via the balcony doors. 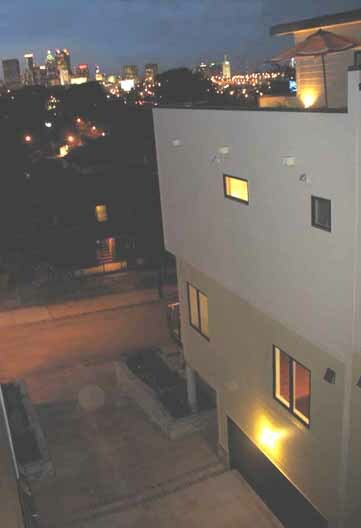 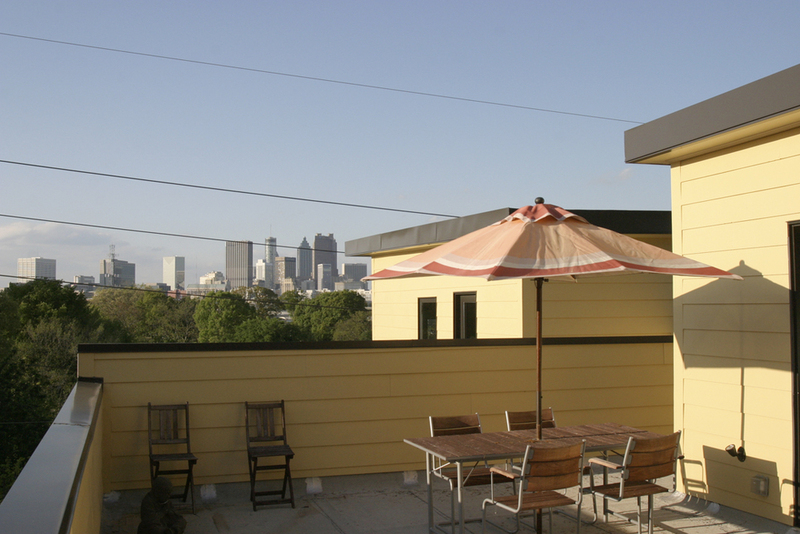 The small yard is supplemented by the rooftop terraces with views to the Braves stadium and downtown skyline. 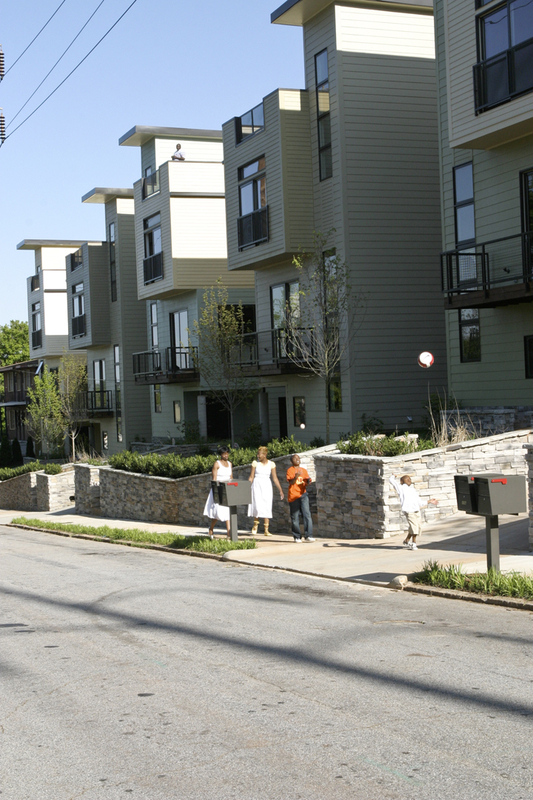 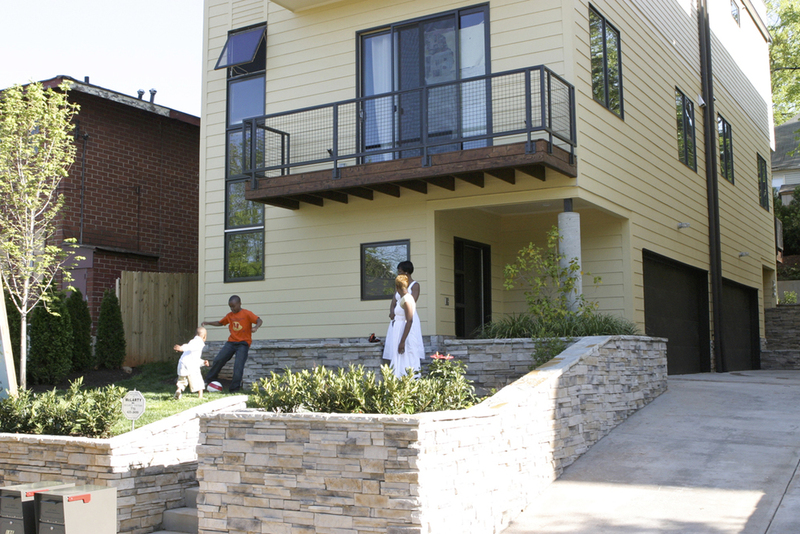 The project provides the homeowners dynamic views to the city and creates a dynamic streetscape for Mechanicsville.